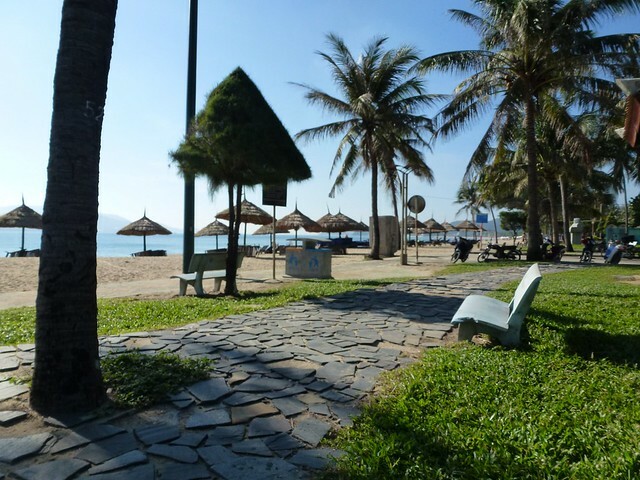 6th April, we arrived in Nha Trang really early at 5am. 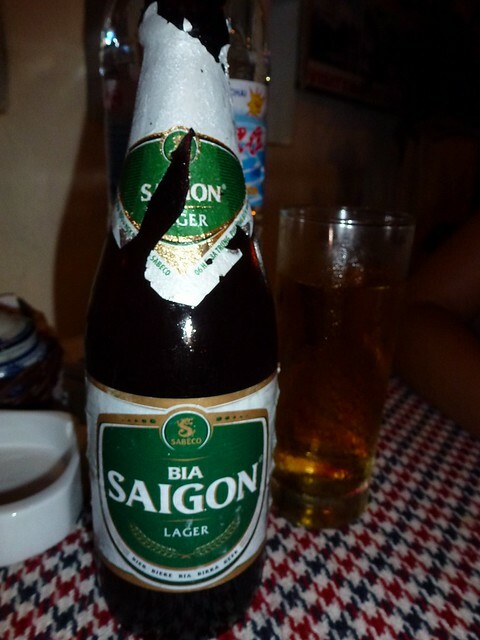 The bus trip from Hoi An was around 11 hours and not that comfortable. As such when we were told we couldn’t check in at the hostel till 12 John wasn’t best pleased. We were staying at the Backpackers house which was ok ish, not one of the better backpackers locations. While we waited for the room to be ready John sat round the corner drinking coffee and tea chatting to the locals. However there was only so many coffee’s he could handle so we headed to the beach for a kip. 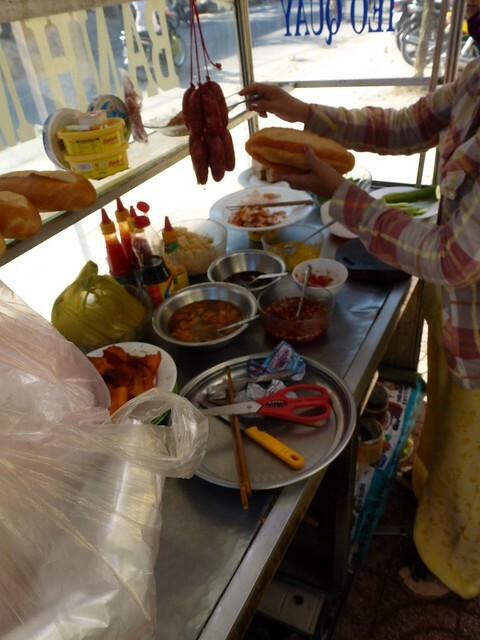 We grabbed another Banh Mi for lunch and then looked to book a tour for snorkelling the next day. The snorkelling trips nearby were meant to be ok, nothing spectacular compared to Thailand but cheap and food was included. Booked in we had a nap in the afternoon. 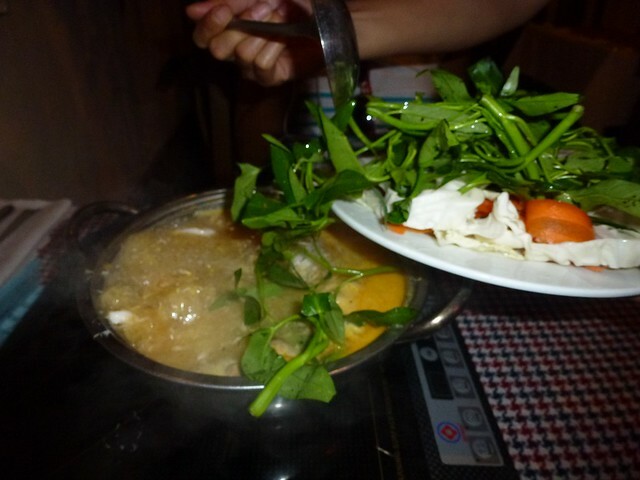 In the evening we headed out for drinks and then a local seafood hotpot for dinner. 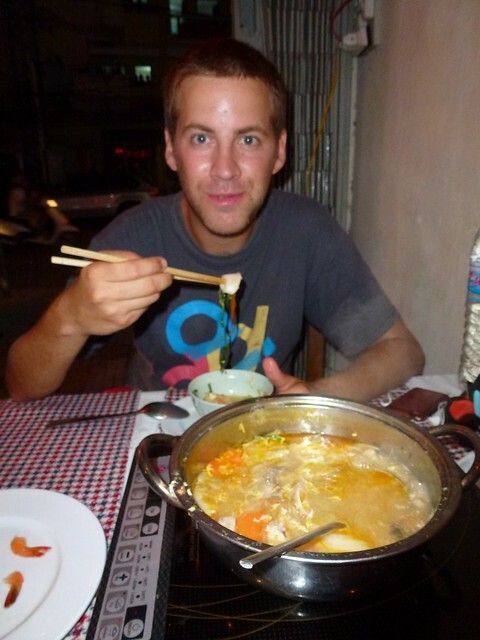 This entry was posted in Vietnam and tagged beach, hostel, Nha Trang. Bookmark the permalink.